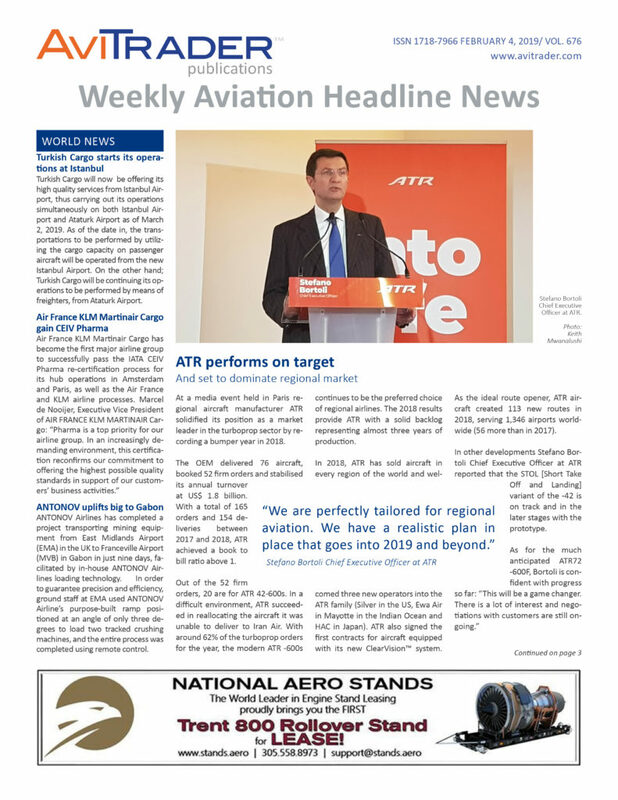 In this week’s issue of AviTrader Weekly News, ATR have said the company maintained its leadership on the market in 2018, showing a solid performance. It delivered 76 aircraft, booked 52 firm orders and stabilised its annual turnover at US$ 1.8 billion. With a total of 165 orders and 154 deliveries between 2017 and 2018, ATR achieved a book to bill ratio above 1.